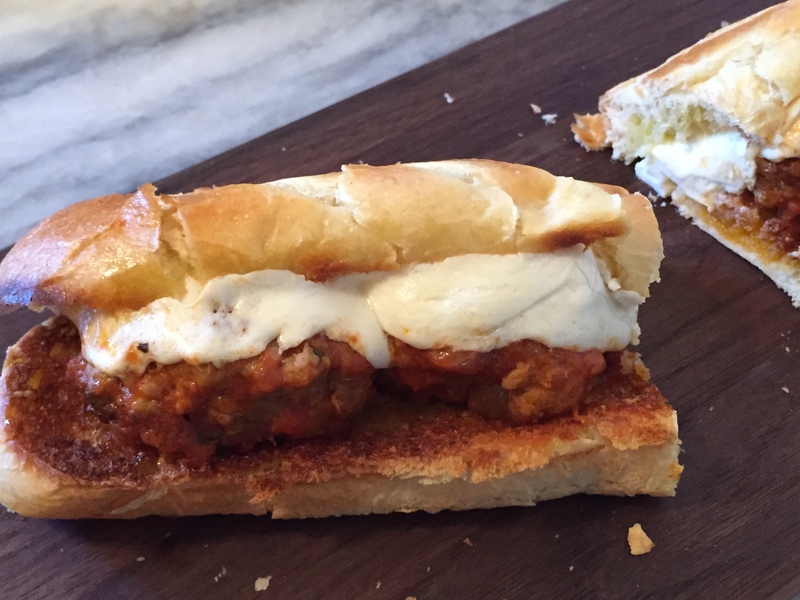 A Meatball Hero For Super Bowl Sunday And A Giveaway!! The wonderful and very generous people at Uncle Steve’s NY’s have offered to send a lucky reader a trio of sauces (see photo below). 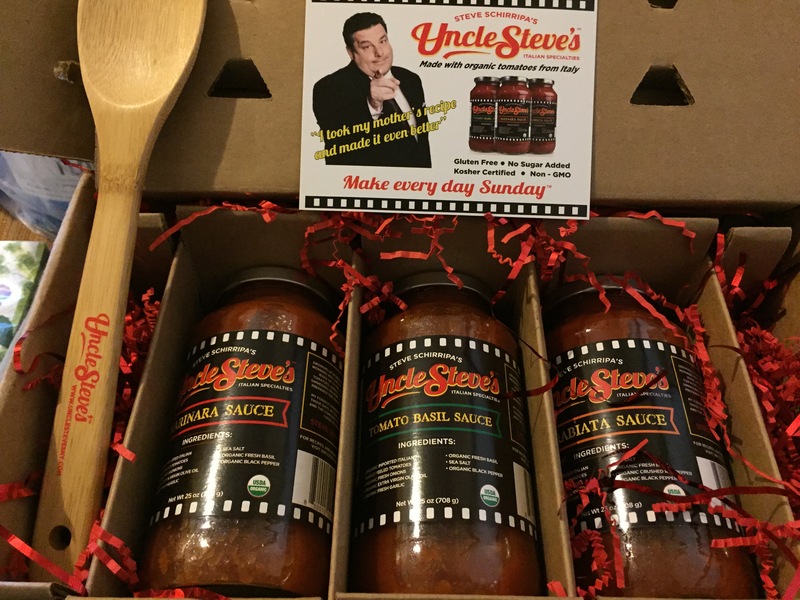 This is a terrific gift and you will have the opportunity to try Uncle Steve’s sauce for yourself. To say thank you I am making Steve his favorite meatballs with pine nuts and raisins and I am serving as a meatball hero. My Mom also made these so when Steve mentioned it was his favorite Sunday Supper it reminded me of my Mom also. 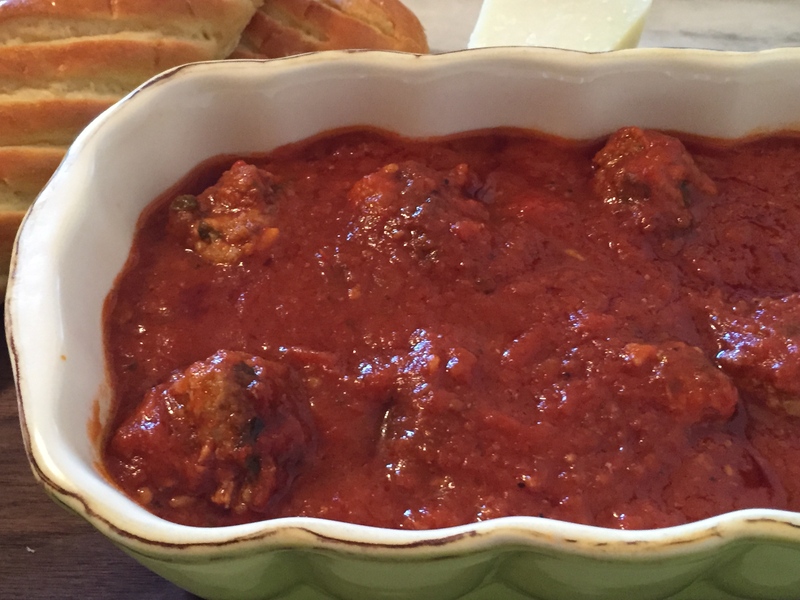 The meatballs are first fried and then simmered in Uncle Steves Tomato Basil sauce. I am really loving this, I kid you not it tastes like my homemade sauce. I will still make my own but this sauce is a great alternative when you are in a hurry or just don’t feel like cooking. All you have to do to win is leave a comment below. The sauce will be sent to you directly from Uncle Steve’s NY and the winner will be chosen through a random drawing via Random.org. The drawing is only open to those living in the Continental US, I am so sorry my dear friends overseas. The drawing will be on Friday February 6th. I used my recipe for Meatballs and added pine nuts and raisins, simmered in Uncle Steve’s Tomato Basil sauce and served on a soft roll with lots of melty cheese, now that’s a sandwich!! Place all ingredients in mixing bowl and mix together, gently, don’t knead the meat or press on it. Form into balls I like them to be about the size of a hand ball. Heat some oil, olive works nicely in a skillet add some meatballs and fry until they are nicely browned on all sides, make sure there is space between each meatball while frying you don’t want to over crowd the pan. When done place in pot of sauce and simmer. Because I used already made sauce I didn’t cook as long if you are cooking the meatballs in homemade sauce I like to simmer for hours, literally hours maybe 3 or 4 hours on medium low heat. Note: It’s hard to judge the correct seasoning so I add some salt and microwave a small piece to test for seasoning. I simmered the meatballs in the sauce around 30 minutes. Slice open your bread, pre heat the broiler, brush the bread with olive oil and minced garlic, grate some cheese on both sides of the bread and put in the broiler until just very light brown, remove and add mozzarella to one side and put back in until the mozzarella is melted. Spoon meatballs and a little sauce on one side and close it up. Enjoy the sandwich and the game!! I don’t watch football so I will be enjoying my meatball hero while watching Downton Abbey. Oh wow, Suzanne, that sandwich looks divine. Perfect for superbowl Sunday or any Sunday really! Awesome!!! Good morning, thank you yes it’s a delicious sandwich. However, I am all about having an easy option like a good sauce in a jar. I definitely need to look for Uncle Steve’s. 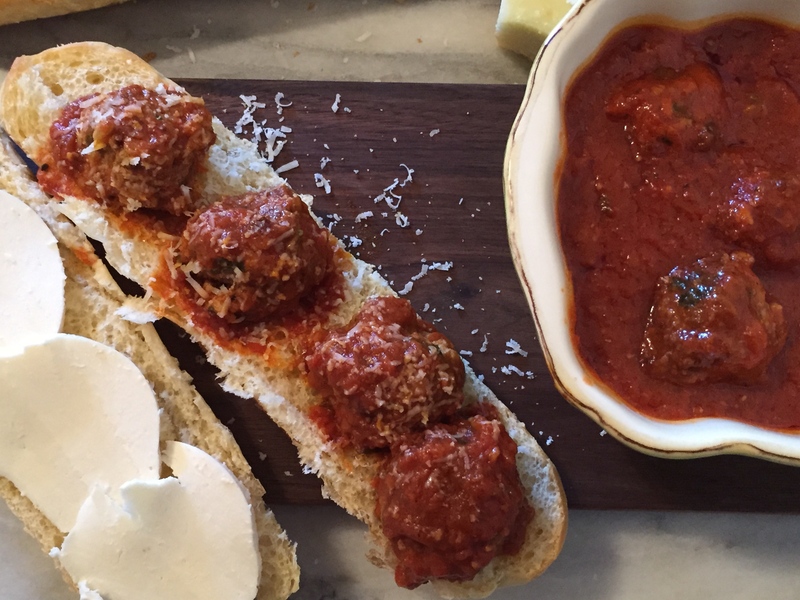 Yes, raisins and pine nuts in meatballs are pretty common, my Mom added them from time to time, more common in bracciole Thank you and you are entered to win a trio of sauces. Good luck!! Love veggie ball option, thanks Sonal and you are entered to win!!! Thanks Stefano, you are entered to win and you enjoy the game also!! Thanks Amy, good game food!! I have to make your recipe! Those are my Dad’s most favorite meatballs!! Can you make these with turkey chopped meat? Yes turkey would be delicious, just follow the recipe as written omitting the beef and pork of course. I have made using ground chicken and it was wonderful. 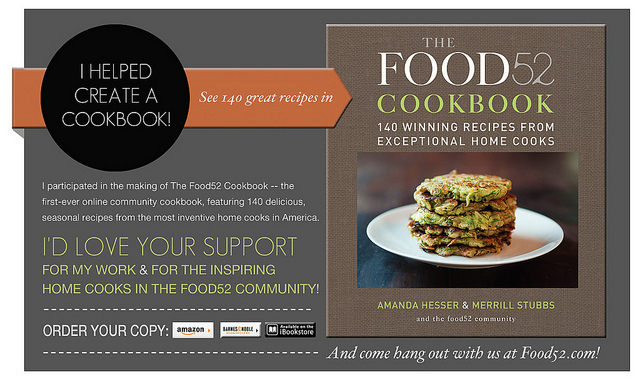 Thanks and you are entered to win!! Well you are now entered to win the sauce so if you win I hope you do make the meatballs and sauce. Thank you. LOL, yes I would have to agree, love wings but the meatballs and melty cheese are really good!! Thanks, I think I’ll wash it all down with a nice cup of tea. Last light, I made large meatballs for our meal today. If I only knew of this super recipe of yours. I love raisins in savory recipes, and you went further adding pine nuts! What a perfect recipe for Super Bowl Sunday (or any Sunday), and to incorporate Uncle Steve’s sauce! Good heavens but that looks good – you could almost make a football fan out of me if you put one of these in front of me. Ha, thanks Liz, I don’t watch football. But I will enjoy the meatballs tonight irregardless. Thanks so much and have a great day. Thats so nice of you Cheryl, thank you so much. Meatball hero is always an awesome sandwich!! Love the fresh mozzarella 🙂 Enjoy the super bowl Suzanne! Thanks Michael, hope you have a great time watching the game, hoping you have a great time. Hi Natalie, yes Italians put raisins sometimes in meatballs and bracciole, it really is good, I only really appreciate it as a grown up, when I was a kid not so much. Now I love the contrasting flavors Thanks so much. Wow that looks delicious, my hubby would devour it, I will try to make it for him. Thank you Angela, hope you enjoy. Thanks so much Jess, I associate those type of sandwiches with Super Bowl Sunday for some reason. It’s a date, you bring the brownies. LOL, thanks Rhonda. Wish you were close enough to stop by. That sandwich looks like heaven to me! Do you do home delivery Suzanne.? Not to everybody obviously or mine will get cold. I’ve heard they are working on a super quick flight from the US to UK, wouldn’t that be nice order dinner in the AM and it would be delivered just in time to eat. Thank you as always David and huge hugs my friend. What a generous giveaway Suzanne! Your meatballs using Uncle Steve’s sauce look delicious and such a lovely adaptation using the pine nuts and raisins – I’m going to have to try that! Hope it was a fun night watching the Super Bowl! Well the super bowl just began, I don’t watch it though, I will watch Downton Abbey tonight. I am not a sports fan but the half time show is always good and I like to watch that. Thanks so much Margot. Perfect meal for Super Bowl! Oh wow, I totally forgot about that. Yes you are right. LOL, thanks Uru. I’ve just read a post where they didn’t pan-fry their meatballs – wouldn’t they be soggy? I have to ask as I’ve only ever had meatballs once. Yours sound the way to go. And I love the idea of the pine nuts and sultanas. Okay, I prefer sultanas! 🙂 Enjoy Downtown Abbey. Can’t wait to see the sauce hit Seattle. You are testimony enough. Thanks Stacey, it truly is good. My Mom used raisins sometimes in her meatballs but I forgot about that until Steve reminded me it was his favorite, It’s really good!! Thanks so much. Thanks Cindy it was delicious. I love meatballs, my whole family loves meatballs and yours look delicious, haven’t had them in a sandwich before! We had a type of meatball yesterday which are made with mince and offal (liver, heart etc), they are called faggots and are kind of old fashioned and great with onion gravy. I’d love to try Uncle Steve’s sauce on my meatballs. It would be a great reminder of our homestate of NY. You are now entered to win!!! Thanks Maria. Drooling! I would love to try these sauces. Thanks so much Sarah you are entered to win!! Everything is better with sauce, right?!? Totally, thank you and you are entered. You certainly could. I think veggie balls would be great!! I think a veggie version would be wonderful, and I know you could come up with a great version. Thanks Chitra. I love meatballs and these look absolutely delicious! I struggle to find a premade sauce that I like. This looks amazing! I’m getting hungry… Thanks for the chance. It’s true Dawn, this sauce is really really good. No kidding, you are entered to win and I highly recommend you give a try. I love a good home made meat ball recipe. Me too Pamela, thank you. Thanks so much! I am a meatball fanatic! I did the survey the other day! omg! Meatballs! I love them so much! That could be the last dish in my life 😉 Great! Thank you Marcela, me too love meatballs!! Now I want meatballs! These look great, Suzanne. Did you enjoy the game? Thanks Liz, didn’t watch the game. Watched Downton Abbey. I am terribly clueless when it comes to sports games. Wow! These meatballs looks amazing. Perfect for the cold miserable weather here in the U.K.
It’s cold and miserable here to and the meatballs were really nice and warm and filling. Thanks so much Emma. Sorry to hear that. I understand your pain. I’m even typing next to a SAD light now. Roll on summer! 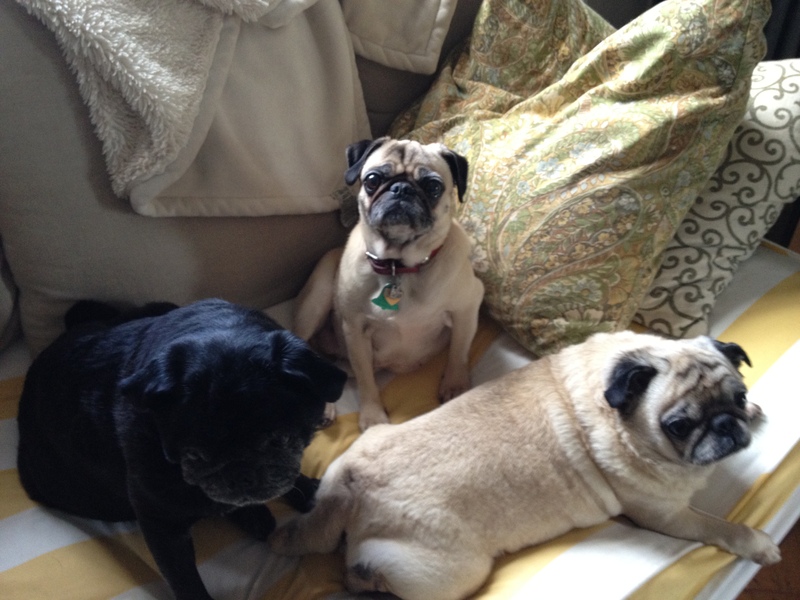 I hope the pugs are well. Thank you, Spring is around the corner, for both us!! 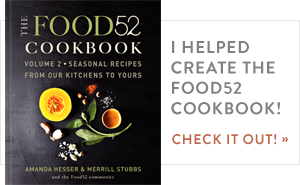 These meatballs look and sound super delicious–my mouth is watering! 🙂 What a nice giveaway, too! Thanks Nancy, the meatballs were really good. 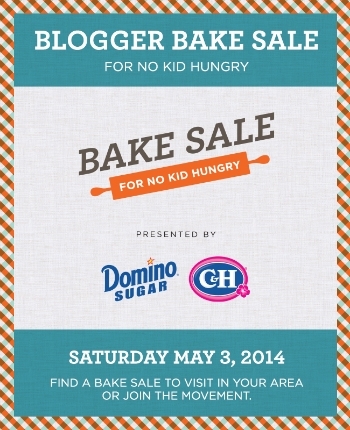 You are entered to win!! I will be making those meatballs for sure! I love the idea of the raisins and those sandwiches remind me ones my Dad and I used to get at a little Italian Deli in Des Moines when we visited our Grandparents! 🙂 Love that you toasted the bread! Thank you they are delicious meatballs, it’s my Moms recipe. Good memories of the Italian deli, they made the best sandwiches. It’s funny I used to hate the raisins in the meatballs when I was a kid, now I love it funny how our tastes change when we grow up. They are really good. thanks Shashi. Your sandwich looks amazing. I want one! Great simple but huge looking meatballs! Yummm! Thanks so much, very simple to make and delicious! 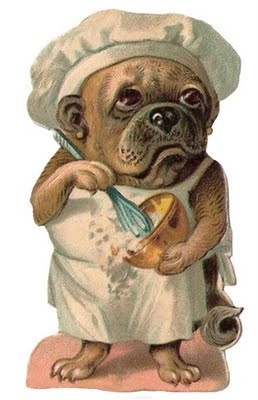 Mmmmm, your meatball sandwich looks to die for! I could eat something like that every day! (With coke, pedestrian as it sounds.) YUM! I think a coke sounds perfect with it!!! Not pedestrian at all. Thanks Azita.